Microsoft Excel classes like no others. We cover the essential, must know, Microsoft Excel strategies and topics that you need to succeed in business, engineering and science. About our Microsoft Excel class/skills guide. Our class guide below displays all of our Microsoft Excel classes side by side so you can see which one is right for you. It also discusses the skill requirements for each Excel class. Before reviewing the class guide, go through the 3 steps below to determine what you are looking for. In our Excel classes, we cover topics from formula design, to coloring cells with logic using Conditional Formatting, to creating charts, to using controls and shapes, to using Excel VBA macros to automate Excel tasks. We will show you how to put it all together to build the Excel tools you need. You will also be surprised at how a little bit of Excel knowledge goes a long way. We do not teach our hands-on Excel classes from a manual. Our hands-on Microsoft Excel classes and Microsoft Excel VBA classes are taught around the real world problems that you bring to class, not from a rigid manual that you just read and do problems from. In our Excel classes, we will teach you how to dynamically connect to external data sources like Microsoft Access and update that data at the click of a button. We can show you how to build things like dashboards that use linked pictures that display other worksheet ranges and dynamically update when their associated ranges do. 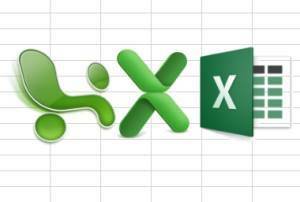 We cover all types of Excel solutions and math levels in our Excel classes. EMAGENIT does not only teach the application of Excel towards practical business problems including data processing, we are also comfortable teaching high end business, engineering and science problems in Excel and their math as well. EMAGENIT was founded by an engineer so we enjoy these types of problems when we encounter them and do not shy away from them. From practical Excel solutions to the most advanced math, we have you covered. 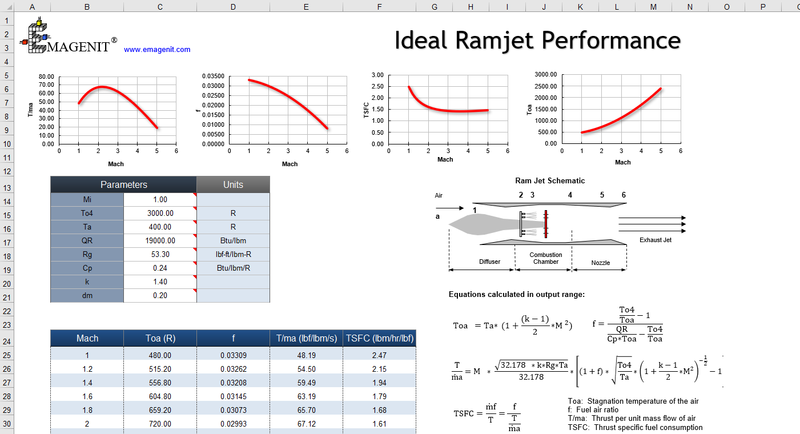 In our Excel classes, we can show you how to layout and construct high end business, engineering and science problems in Excel like the simple ideal ramjet problem pictured above. We can not only show you how to solve problems on the worksheet using advanced formulas, we can also show you how to use Excel VBA macros integrated with VB.NET, CSharp, FORTRAN,... to solve the really tough stuff. An Excel manual that actually contains useful examples. All of our Microsoft Excel classes include a 2200+ page business or engineering / science manual that you will be able to use after class to reproduce what you did while training. Our Microsoft Excel manuals cover everything you need to know to get yourself up and running in Excel. At over 2200 + pages, one could say it actually contains a little more than what you just need to know. Hands-on public events for our Excel classes. You or your group travel to our public training location and take your Microsoft Excel class or Microsoft Excel VBA class hands-on. Be sure to bring your Excel problems with you. If a class is offered as a public event, you will see Public in the Format section of the classes listed below in Step #4. Hands-on, live broadcast, on-line events for our Excel classes. 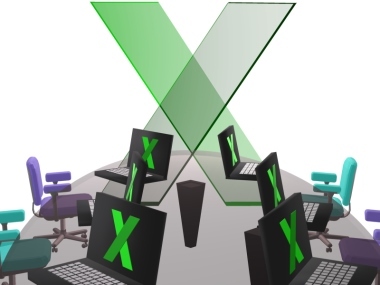 We teach our Excel class or Excel VBA class to you or your group live over the web hands-on. We answer your questions and use your examples. If a class is offered as online, you will see Online in the Format section of the classes listed below in Step #4. Learn about how we broadcast. Hands-on company onsites for our Excel classes. 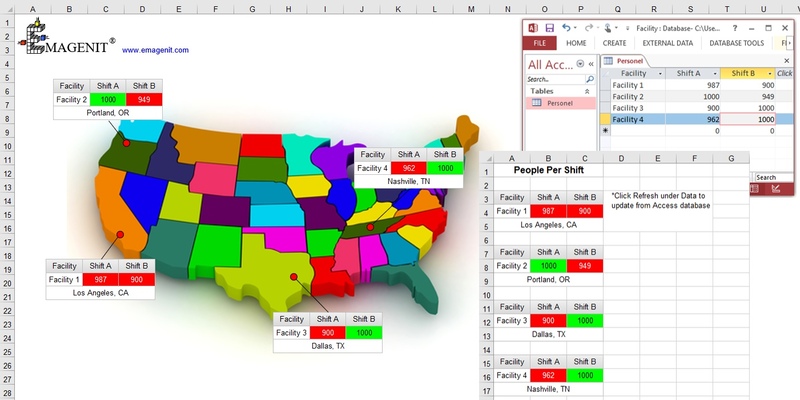 EMAGENIT travels directly to your company to teach an Excel class or Excel VBA class supplying computers if you need them or teaches your company online. If a class is offered as an onsite, you will see Onsite in the Format section of the classes listed below in Step #4. Microsoft Excel self study manuals. You buy a self-study manual from EMAGENIT and can apply the manual price to 1 Excel class or Excel VBA class later on if you desire. If there is a self study manual that applies to a class, you will see the Self Study Manual section in the classes listed below in Step #4, observe the name, click it and it will lead you to the manual. You work in a non-technical field, you are not in research, building or testing and have Excel problems relating to business. Look for the Business Classes header below in Step #4 to locate the Excel classes we offer in this category. Engineer, technician and science professional. You are an engineer or science major or work as a technician and have Excel problems of a technical nature and data. Look for the Engineering / Science Classes header below in Step #4 to locate the Excel classes we offer in this category. This is a category of class we developed that applies to everybody and is taught to the problem interests of those who attend. Look for the Combined Audience Classes header below in Step #4 to locate the Excel classes we offer in this category. You or your group learn how to write formulas, construct Pivot Tables, format worksheets, construct array formulas, filter data..., basically manually manipulating the Excel environment. In most instances they do not cover Excel VBA programming topics except for some that provide an introduction of VBA topics and demonstrate how to create custom Excel VBA functions. They will not mention VBA in their titles below in Step #4. Microsoft Excel VBA macro classes. You or your group learn how to write computer code in Visual Basic for Applications (VBA) that automate Microsoft Excel tasks like data processing, automatic chart creation, commanding Microsoft Word and PowerPoint...etc. Generally, any class with VBA or Macros in its title below in Step #4 is going to deal with programming. By the way, the words VBA and macros have the same meaning, the word macro is a carry over from the early 90's. What is VBA? Our 1-day hands-on beginning Microsoft Excel class shows you the essential skills you need to use Microsoft Excel in your daily business activities right away. Our 1-day hands-on intermediate Microsoft Excel class shows you intermediate Excel skills that apply to analyzing basic business information. Topics include creating useful formulas; using worksheet functions like VLOOKUP,SUMIF,IF...; creating basic Pivot Tables and using Excel's many data processing tools. Our 1-day hands-on advanced Microsoft Excel class shows you advanced Excel skills that apply to creating smart adaptive Excel business tools. Topics include creating logical adaptive formulas that analyze complex data; using advanced data features like Pivot Tables, MS Query and text file processing; constructing basic dashboards using ActiveX controls and charts and linking to Word and PowerPoint. It also provides an intro to VBA macros. Our	2-day hands-on beginning Microsoft Excel VBA class shows you the essential Excel VBA programming skills that you need to immediately develop useful powerful data processing and analytical tools that your business needs now. Our 2-day hands-on Intermediate Microsoft Excel VBA training for business shows you how to create useful data analysis, data fusion and data visualization tools using Microsoft Excel and VBA. Our 3-day hands-on advanced Microsoft Excel VBA class shows you how to build advanced data processing tools, analysis tools and dashboard displays using Microsoft Excel VBA that will solve the most difficult business tasks. Our 4-day hands-on Microsoft Excel and Microsoft Excel VBA class shows you the steps and strategies behind using Microsoft Excel and VBA to produce business tools that do days of work in seconds. This class takes key Excel topics like advanced formula design, key worksheet functions, Excel's data processing features, Pivot Tables, charts, dashboards and VBA macros and condenses them into one course. Our 1-day Excel data analysis for engineers and scientists training will show you how to effectively use Excel to process engineering and scientific data. Key topics include using cell and range names to track data, using key functions like VLOOKUP, MATCH, COUNTIF, SUMIF and IF in data analysis; using array formulas to process data; organizing and storing data on the worksheet; analyzing worksheet data with various Excel data tools; building charts; cleaning worksheet data and working with text files; and linking Excel to other programs like Word and PowerPoint for reporting purposes. Also discussed is how to use Pivot Tables and Power Query to pre-process and filter data. Taught by an engineer. Our 1-day hands-on Microsoft Excel class shows you how to create engineering and science related formulas and debug them; name cells and ranges and use them; transmit large amounts of information between worksheets and workbooks; construct worksheet and Excel tables to store data; build modeling, analysis and data formulas including logic and lookup; build technical displays; process text; create charts and construct Pivot Tables. It also provides an introduction to VBA macros and custom VBA worksheet functions. Taught by an engineer. Our 2-day hands-on beginning Excel VBA class shows from an engineering and science view how to use VBA to control key Excel features, format and process technical data, perform sophisticated calculations, create technical charts, create custom worksheet functions, manage large models and information, create report generation tools and much more. Taught by an engineer. Our 2-days hands-on Intermediate Excel VBA class shows you how to create innovative data analysis, data fusion and data visualization tools for engineering and science. Taught by an engineer. Our	3-day hands-on advanced Excel VBA class shows you from an engineering and science perspective how to use VBA to create advanced data analysis tools, advanced technical models, advanced database tools, dashboards using ActiveX controls and userforms, interface with other programming languages like VB.Net and FORTRAN and control other programs like Word and PowerPoint. Taught by an engineer. Used worksheet functions like SUM..
Our	4-day hands-on Microsoft Excel and Microsoft Excel VBA class shows you through engineering and science examples the methods and strategies of using Excel and VBA to produce technical tools that do weeks of work in seconds. This class takes the most important Excel topics, worksheet formatting, interface design advanced formula design, Excel's data features, technical dashboards and VBA macros and condenses them into a compact 4 day class. Taught by an engineer. Our 3-day hands-on FORTRAN and Excel VBA class shows you how to link FORTRAN code with the power of Excel VBA. Discussed is how to use Microsoft Excel VBA as a front and rear end information processor for your FORTRAN programs and includes a full Excel VBA language review stressing data processing. Our class also shows you how to layout visual interfaces in Excel that communicate with your FORTRAN code. Also discussed is how to create FORTRAN DLLs from legacy FORTRAN source code and mix the two languages together to form a solution. Taught by an engineer. Our 3-day hands-on Excel Dashboards class shows you the complete mechanics of how to create advanced Microsoft Excel dashboards. The dashboard types covered include various status displays, project management displays, time lines, chart gauges, various summary style charts, various maps, color coding worksheets, Pivot Charts and any other dashboard you can dream up. It shows how to use all of Microsoft Excel's capabilities to construct these sophisticated dashboards and most importantly how to assemble them. It also demonstrates how to build custom worksheet functions using VBA which provide the ultimate formula construction. Our 1-day "hands-on Excel VBA class shows you how to create Excel VBA macros that reduce your repetitive Excel tasks from hours to seconds. Our class shows you how to use the VBA language to command common Excel tasks like formatting, copying, pasting, inserting, deleting, sorting, data entry, and data filtering (AutoFilter, Advanced Filter). It also provides a basic review of programming including how to use variables, loops and logic in your code. It also discusses VBA procedure types, how to debug your code, how to perform calculations in your code and the strategy of using logic in programming. Have used Excel's worksheet functions like SUMIF, COUNTIF, MATCH..
Our 2-day hands-on Microsoft Excel VBA class shows you how to develop your own custom worksheet functions using Visual Basic for Applications or VBA. Custom VBA worksheet functions (UDFs) can be used to replace worksheet formulas on the worksheet that take up space and file size. 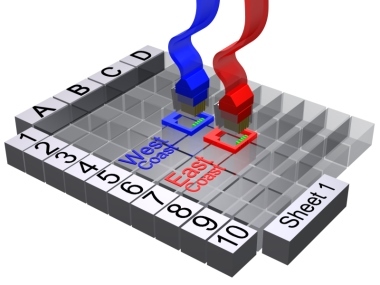 They can also do complicated tasks that regular formulas just cannot do. From data processing to modeling, they are the ultimate calculation building block to learn.